What is Aluminum Alloy 6061? Grade Alloy 6061 is the aluminum alloy having silicon and magnesium as main alloying elements. It is a precipitation hardened aluminum alloy. 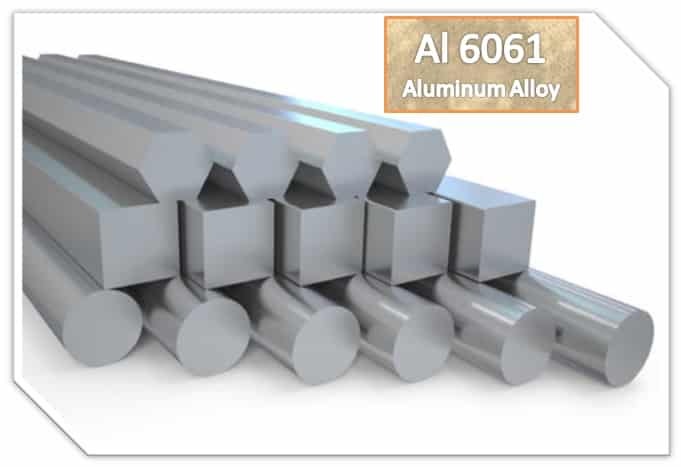 Alloy 6061 is referred as the most general and common alloy within aluminum grade alloys. It has robust mechanical properties and also has good weldability. This alloy is commonly used for extrusion. After alloy 6063, it is the second mostly used for extrusion. Al 6061 is available in Solutionized and artificially aged state, pre-tempered annealed state and in the state of Solutionized, artificially aged, and stress-relieved stretched. ISO 6361 titled as “Wrought Aluminum and Aluminum Alloy Sheets, Strips and Plates”. ASTM B 308 titled as “Standard Specification for Aluminum-Alloy 6061-T6 Standard Structural Profiles”. ASTM B 483 titled as “Standard Specification for Aluminum and Aluminum-Alloy Drawn Tube and Pipe for General Purpose Applications”. ASTM B 210 titled as “Standard Specification for Aluminum and Aluminum-Alloy Drawn Seamless Tubes”. ASTM B 547 titled as “Standard Specification for Aluminum and Aluminum-Alloy Formed and Arc-Welded Round Tube”. Why Aluminum Alloy 6061 called Alloy 61S? Alloy 61S is the original name of 6061, it was first used in 1935 and was named as 61S alloy. Dimensional Characteristics of Aluminum Alloy 6061: As it is available in different forms, dimensional aspects should be confirmed from traders, manufacturers and dealers. The applicable thickness for Aluminum Alloy 6061 material as obtained by online statistics in the market starts from 6 mm to 250 mm defending upon processes. However the width of this material varies and it is available in different widths. 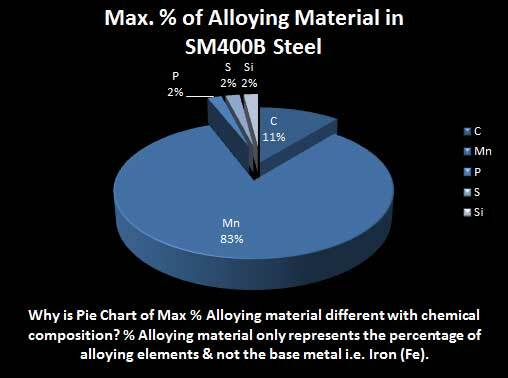 Maximum percentage of Iron (Fe) is 7 percent. Percentage of magnesium (Mg) ranges from 0.8 percent to 1.2 percent. Percentage of Silicon (Si) ranges from 0.4 percent to 0.8 percent. Maximum percentage of zinc (Zn) is 0.25 percent. Maximum percentage of Titanium (Ti) is 0.15 percent. Minimum percentage of Tungsten (W) is 90 percent and maximum percentage of Tungsten (W) is 6.70 percent. Remaining is Aluminum (Al) percentage from 95.8% to 98.6% by weight, with few negligible impurities. The proof stress of the subject alloy is expressed in Newton per millimeters and it must be at-least 240 N/mm2 (MPa). Tensile strength should be at least 260 N/mm2 (MPa). Modulus of elasticity is around 70 GPa. The Brinell hardness is indicated around 95 HB. Elastic modulus is around 190 to 210 Giga Pascals. Equivalent grade of this type in UNS designation is UNS A96061 grade. In DIN designation, the corresponding material is referred as 3.3211 alloys. AD-33 alloy is also an equivalent grade in Russia. Supplier İkitelli Organize Sanayi Bölgesi Eskoop San bearing contact number (0212) 671 57 71. The supplier address is C8 Blok No:520-522-524 İkitelli – Başakşehir, İstanbul Turkey. Supplier United Aluminum Corporation bearing contact number 203-239-5881.The supplier address is PO Box 215, 100 United Drive, North Haven, CT 06473 USA.